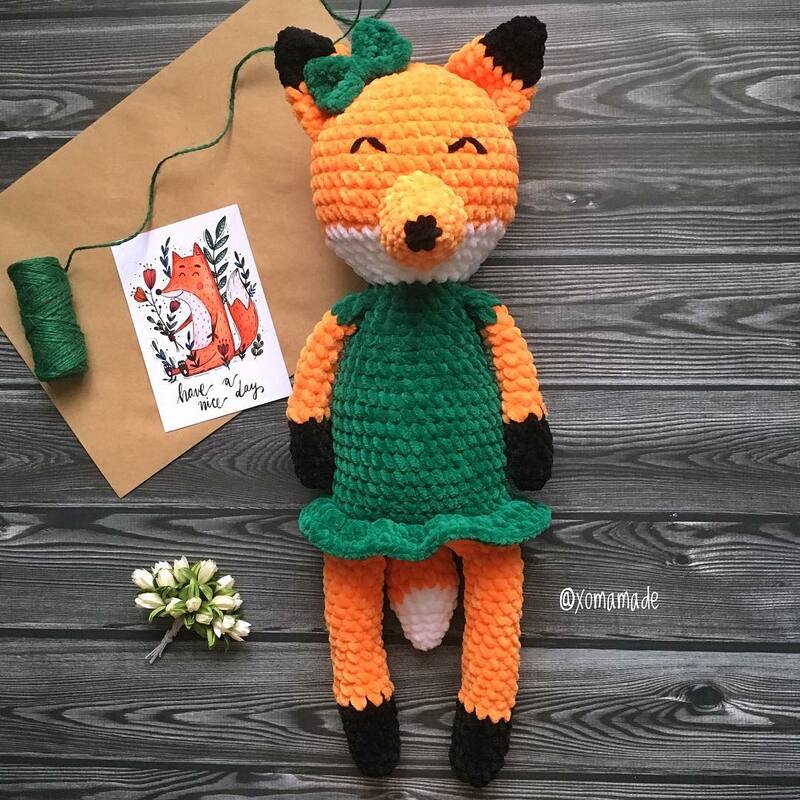 Free amigurumi pattern to create a 20 inch (52 cm) plush fox in dress. 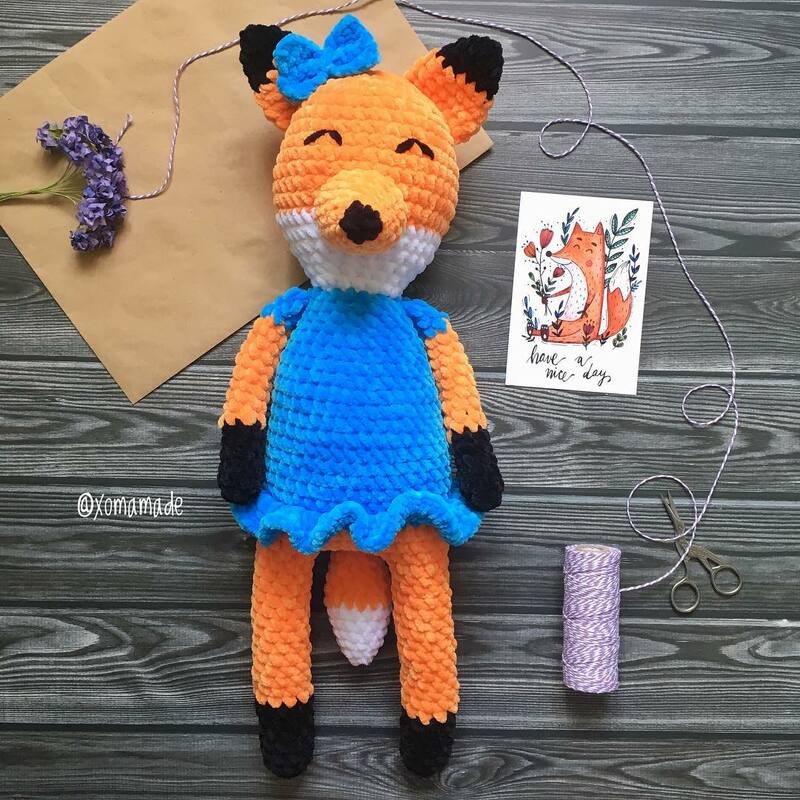 To crochet this cute fox you will need Himalaya Dolphin Baby or YarnArt Dolce yarn and 4.00 mm crochet hook. Fold top of tail flat and sc through both sides across. Fold top of arm flat and sc through both sides across. From second leg: 8 ch, join with the first leg. Go to body R 5. 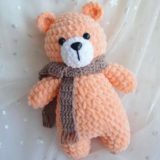 Wrap the middle of the bow multiple times with yarn. 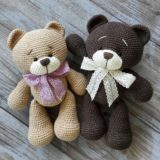 Better to sew details to each other with other yarn not with plush one. 1. Sew the muzzle on the head between R 13 and R 17 and embroider a nose. 2. Embroider eyes at R 11. 3. 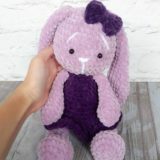 Sew the ears on the head, sew the head on the body. 4. 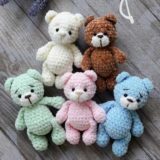 Sew the arms at R 20 of the body. 5. Sew the bow near on the ear. 6. Sew on the tail at R 4.